Find a vacation home to rent in Fusa Municipality from our list of vacation rental properties. Campaya has over 27 vacation homes available in Fusa Municipality, which give you the possibility to locate a unique accommodation in Fusa Municipality which completes your check-list in search for the perfect self catering vacation apartments in Fusa Municipality or vacation villas in Fusa Municipality. 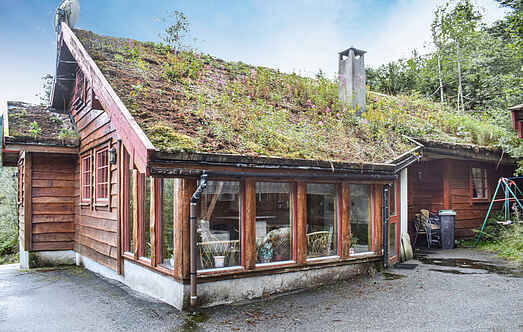 This classy cottage offers a panoramic view of the Ådlandsfjord. 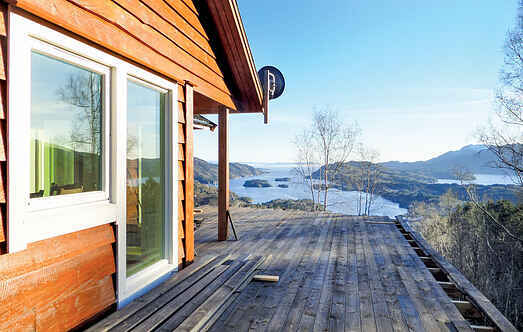 Rustic, architect-designed luxury holiday home of the highest quality, situated in beautiful scenery near the Bjrnafjord. Holiday home on a peaceful fjord property with its own beach and private jetty. Rural area with gazing animals. Good fishing and bathing. Day trips to Hardanger. Have a stress-free break with this comfortable holiday home, perfect for those who enjoy natural scenery and fishing. This cosy holiday home is located amid beautiful natural surroundings with great views. It has a covered terrace with a barbecue. You can go on day trips to Os, Bergen and Rosendal. This beautiful house with a large, wooden terrace and a barbecue area is located directly on the Ådlandsfjord and is surrounded by natural beauty. This classy holiday home is located amid beautiful surroundings. You can go fishing in the river where you can find Salmon / trout. We hope you enjoy a wonderful self-catering break in this comfortable and inviting holiday home. This cosy holiday home is furnished with all the necessities for a good visit. Cottage in a remote area. Undisturbed surroundings and beautiful view. Cove for bathing 1 km. Great possibilities for fishing, hiking and motoring tours. Bergen 1,5 hours. This functional and well-equipped holiday home has been kitted out with everything necessary for a stress-free stay. Cosy cabin, situated beautifully by the lake Skogseidvatn, year-round fishing, ice fishing in winter. Lush area with lots of berries and mushrooms. Bergen: 90min. Welcome to a luxury cottage located close to the sea. It is on a large plot with a great view. This large cottage has outdoor swimming pool. Very tastefully and well-furnished holiday home, 15m from the beach on a little hillside and with a panoramic view over the Fusafjord, where the fishing is good. New and tastefully furnished high-standard holiday home. The house is situated near a beach on a hillside with a herb garden and a panoramic view of the Fusafjord. Nice and older holiday house in Bogavika. Only 200 metres to general store and the fjord with good bathing places. Short distance to Bergen for day trips; 1 hour. Former farm in undisturbed surroundings by the fjord. Good hiking and fishing and very suitable for a family holiday. Large outdoor area. Private beach.